As a mother, you always seek for what’s best for your kids. No matter what it is, you have to make sure that your kid is comfortable. Just for example choosing what would be the best underwear for your kids. We all know that kids are different; you think your other kid would be similar to the other but totally wrong. Therefore, we choose to try different brands, there are brands that we never tried before. We might be hesitant, which is very normal since we don’t want to hurt our kid’s delicate skin. However, trying won’t hurt at all, that’s where we find things out. That’s where we can find a solution and even gives more comfort for our kids. I am lucky that I never hesitated to try GoodNites underwear this is one solution that I got for my 3-years-old. I am always frustrated that he gets interrupted his sleeps in the middle of the night and wet. I have to change him at least twice as he could not go back to sleep due to discomfort feeling. I won’t blame him, who likes to sleep when you are experiencing wet sheets, nobody. After I put it on to my son, he instantly likes the underwear. Not only because it is comfortable for him, but also he gets attracted by, the limited design that kids would love to wear. They have Spiderman and Tinkerbelle design intended for boys and girls. Not only one design, but also comes with two different in one package. My son is always eager whenever I let him wear the Goodnites underwear at night; he thinks that he is a Spiderman. Goodnites Underwear has a forum where parents exchange their experiences about the product. There are parent/s who shares on how they resolve the issues with their kids and how Goodnites being part of it. You can follow them on GoodNites Facebook page to join the conversation. It is important for our babies (or kids) to have a good night's sleep - good thing you found the perfect diaper for your child. That is so true, sometimes we can't find what we are looking for if we don't take a risk. I do that also when my daughter is still using diaper. I prefer the night diaper as it holds more and i'm so happy age 24 months she's potty trained so relief and huge savings from then. Must haves for those kids who still go potty on dypes. those are pretty Novs, and more sleep for baby at night. so true, Betchai, indeed when they wake up, they are happier and satisfied. What lovely designs! I can't imagine life without those diapers. It must be difficult to be getting up many times a night to change those cloth diapers--not to mention that it must be so tiring washing them! 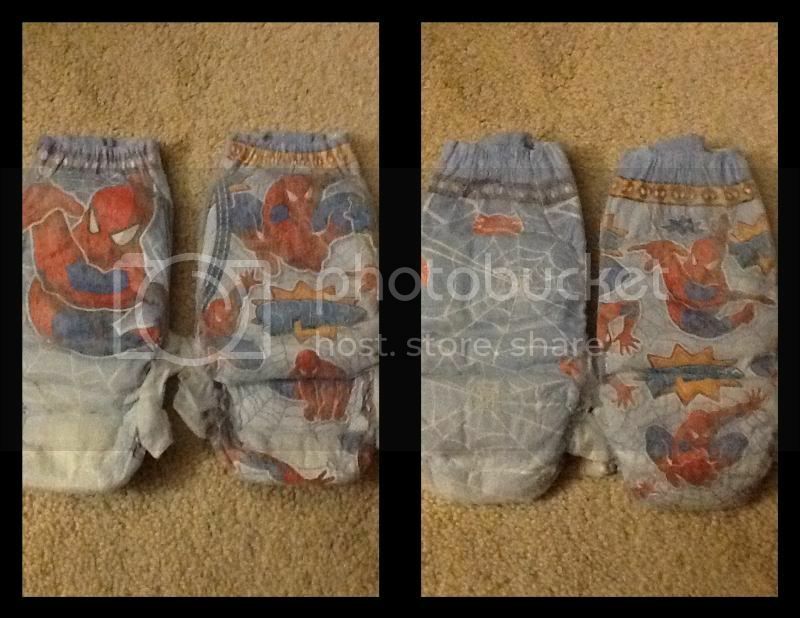 My son would have been thrilled wearing those spiderman designed underwears! When he was around the age of your son he wore a spiderman costume around the house ♥♥. Perfect for my apo Vonn. My other apo used to wear pampers during the night and spent a good night sleep. But I have my way, cloth diaper is more better. I haven't used any overnight pants for my 2-yr old boy. He still uses the diaper for day time. Although he sleeps through the night, there are still times that he would cry, probably because of super wet nappies. I should give this a try. Cool nappy designs! LOL! Spiderman!